I spoke with a Mom from the Lower Mainland who has a child with Down's Syndrome. Her son has communication challenges as well as behavioural challenges related to his diagnosis. I found out that her child, who has way more struggles at school than mine, gets way less for support. And she says it's due to diagnosis. Autism gets you the cornucopia of help from the school and government. Kids with a different diagnosis may not be so lucky. Her neighbor has a child with ADHD who is impacted quite severely by this and a psychiatric diagnosis as well. She gets NO support from the government or from school in regards to his illness. She says her principal has had to be really creative with hours and help for her son in class. She is choosing to keep him home from school next year. But, with all of the media attention on human rights cases, she's thinking about exploring that option. Neither of these parents are interested in challenging the system because they feel it's just too big of a task. Too intimidating. These stories are good examples of why I like the idea of loosening diagnosis restrictions on getting extra help for the student and teacher. We at Partners In Education (PIE) would love your help! We are inviting guest bloggers to submit posts here at our website. Our mission is to increase the representation of parents, students, and other private groups. Share your views with an active community and get your voice heard. 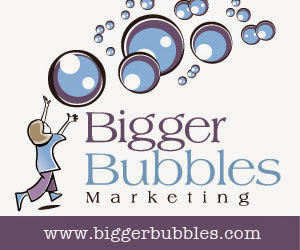 The blogging opportunity is also a terrific way to build your writing portfolio. The following document shows what areas are bargained locally. I am concerned that Parental Complaints are in this list. With each district operating a fair bit differently from the other, I'm concerned this could greatly impact parental rights in the process. 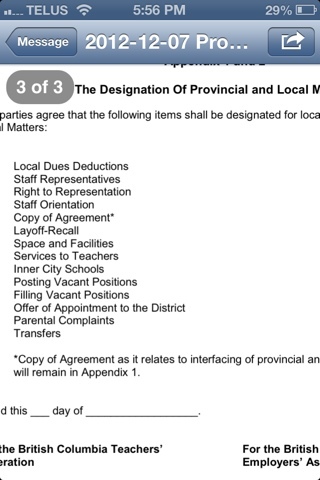 I'd like to know if there are any provincial guidelines that Districts must abide by. I'd also like to know if the process each District uses us public. This will be another item in the P.I.E. staff (me) to look into! If you have any information about this process, I'd love you to share t with me! The following post was pulled from our Facebook page. Excellent post and wanted to share it over here. Thank you Ryan. Community social services work to improve the first 4 outcomes for high needs kids before they even get to school. Schools and teachers are orders of magnitude less effective in improving the states of those first 3.5 outcomes (and most important) without resources to do so, or without strong community social services working in tandem. Education. It’s a small word, but a big topic in today’s landscape. In British Columbia, it seems that education is becoming increasingly political. Is that a good thing, a bad thing, or does it even matter? That’s not for me to decide. Before going any further with this little piece I’ve agreed to write for Melanie, I’d just like to take a moment to introduce myself to any readers who either don’t know me, or would like to know a little bit more about me. My name is Michael Stuart, and I’m a second year student at the Alberta School of Business at the University of Alberta in Edmonton. Born and raised in British Columbia, I spent 13 years as a student in BC’s public education system. Politically, I am a staunch fiscal conservative with a great desire to protect taxpayer interests while furthering the efficiency of our expenditures. Simply put – I want your tax dollars to go as far as they possibly can. After all, you worked hard for them, and it’s important that you get value for your money. Like I said in the opening paragraph of this piece, education is a big issue. It seems that we can’t get through a school year without word of a dispute between the British Columbia Teachers’ Federation and the sitting government. It doesn’t take a rocket scientist to figure out that this isn’t an overly effective arrangement for students, parents, or taxpayers. Where’s the community involvement? Who’s out there truly advocating for kids while the BCTF advocates for two billion dollars in teacher benefit increases? Who’s looking out for your kids while the government cuts funding to key areas in our system while ignoring teacher quality issues and inefficient spending practices? To me, that’s where Melanie and her initiative come in. My fight for education reform begins and ends with teacher quality. I believe that, as a community, we have to stand up to ensure that our children (well, your children) have the best educators at the front of the classroom. The BCTF continues to talk about class size and composition as though they are the only things affecting your kids’ learning; the reality is that neither of those things is of consequence without an effective educator standing at the front of the class. I often find myself asking this question to those who seek me out (not naming any names) on Twitter – what’s better for a kid, an effective teacher in a class of 29 or an ineffective teacher in a class of 25? The answer is so obvious that this question really doesn’t need to be answered. The problem, right now, is that neither of the major parties in our education system today seems ready to fight for teacher quality. The teachers’ federation is unwilling to admit that some of its members are better suited for careers outside of the classroom, and the government is unwilling to fight against the teachers’ federation’s well-oiled machine. It’s a vicious circle. That’s where community comes in. You pay the taxes. You’re the client. Your children and their futures are at stake. You, yes you, can take a stand. Melanie’s initiative, Partners in Education, is a great avenue for folks like you and me to take that stand and fight for teacher quality. As a former student, I know the difference that a good teacher can make in the classroom. It’s like the difference between night and day. So, with that said, why don’t we start talking? Let’s start the conversation. Let’s make sure that no child is left at a disadvantage because of an ineffective educator. Parents, Grievances, Collective Agreements.. Oh My! I spoke to someone today and found out what could be very disturbing news. If a guardian has a grievance with a teacher, the guardian must go to the teacher involved first, according to the collective agreement. If the guardian goes to the principal or any other staff, the grievance can be tossed out. I'm told this is in their contract. At first, I didn't think it was really all that bad until I realized that the grievance can be tossed out permanently and this decision can not be appealed. Why wouldn't the principal or other staff member simply inform the parent of the proper procedure? Doesn't seem right at all. I understand that not all BCTF locals will enforce this requirement. However, I do know that it is not uncommon. If true, I'm wondering if the collective agreement is legally binding on a parent. I've asked the Ministry for clarification. Through Partners in Education, I'm learning quite a bit about the lack of rights parents really have at school. And it's disturbing. If you have had situations like the above, I'd like to hear about them. You can contact me anonymously through the Contact page on our website. You can also give me a call and I'll be happy to take the details over the phone anonymously. I'm very interested in seeing how this story pans out.. Politics and Campaigning In Elementary Schools? The following article from 24 Hours illustrates how politics are invading our classrooms and schools. Adrian Dix and others have been caught distributing promotional materials in the schools. What really bothers me about this is that the principals of the schools allow this to occur and has been occurring for quite some time now. I applaud Patti Bacchus on her firm position that this should not happen regardless of who you are. I'd like to know what the regulations are on the distribution of materials in school districts. There needs to be a provincial conversation. As we see by what's happening in Chilliwack with the distribution of Bibles, we need provincial regulations. This can not be left up to the districts anymore. Where is Fiscal Responsibility and Oversight? Fiscal accountability is a huge issue in school. Look at Nanaimo controversy. Again, who has our kids' back? Seriously. Cash Strapped School Distrct Spends 24K on New Logo? The Tyee wrote about us! Thank you Katie!! I really like this article. Parents are asked to pay for so much in school nowadays. My kids' school asks that they bring in kleenex on their yearly supply list. Will they ask for toilet paper next? I wonder what happens to those kids that can not afford the lengthy and VERY costly supply lists each year? What if a PAC can not fundraise enough for uniforms or playground safety upgrades? This is an area where I think we need to involve private enterprise. What partnerships can we create to help ease the burden on school districts and families? We need practical solutions to some very real problems. Our kids safety is being compromised. And many families are concerned about their next meal, mortgage or the astronomical school field trip fee coming up. Do they need more? Premier Clark..I hope that you have put some big consideration into Families First when putting your budget together. Families need relief and we all need to pitch in for your kids. CTV Article Here - Parents Footing the Bill? Great for SN kids! LIF Fund getting high marks. Ministry of Ed is on the right track.. But more help is needed. What would you like to see for services for SN kids? We Are Expanding..Like to Help? What's the Answer to a Healthy Collective Bargaining Process? We Are Here and Working Hard!